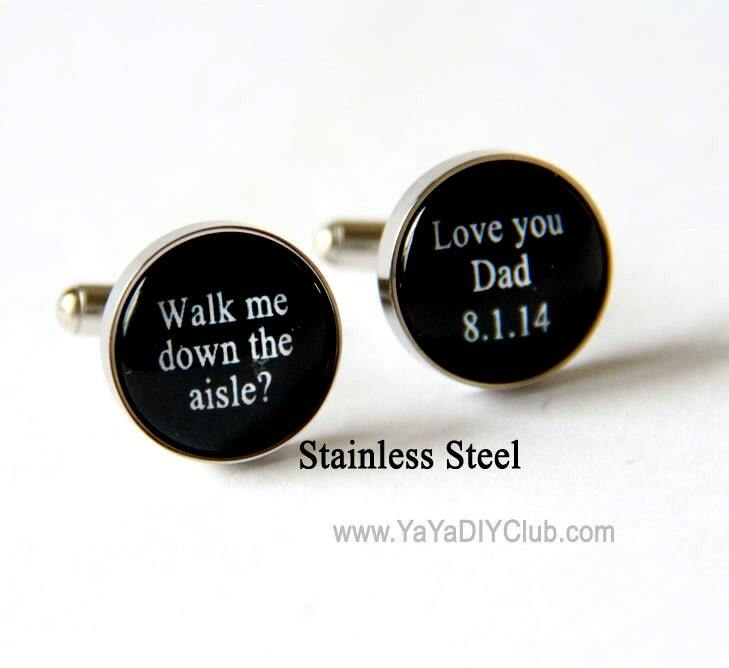 Custom Personalised Personalized cufflinks - walk me down the aisle I love you dad in Black and white or custom color of your choice. Wordings or color can be customized to your choice. Perfect memorable wedding gift for dad on your wedding day.